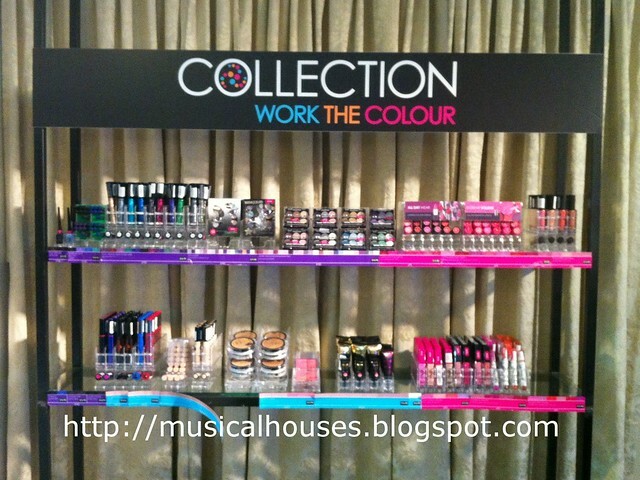 Collection Cosmetics Swatches and Review: Collection Arrives in Singapore! Collection Cosmetics, a UK-based drugstore brand (you'll find them most commonly in Superdrug) has now come to Singapore! I recall this brand quite fondly from my days as a student in the UK, back when the brand was still called Collection 2000, and I guess life has a way of coming full circle, because now the brand is coming to Singapore! 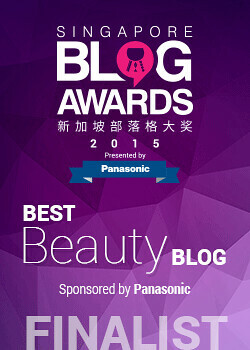 Collection Cosmetics is now coming to Singapore! 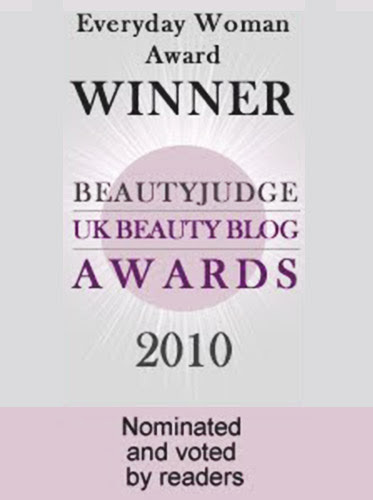 Collection Cosmetics is one of the top 3 UK drugstore brands with their young, fashionable image, and they have steadily been expanding into Asia (you will also find the brand in Hong Kong and Philippines). The line is cheap, with prices running from S$9.90 and up - this isn't as cheap as in the UK, but is still drugstore pricing. As always, I've done some swatches of some of my personal favourites from the line, and if you want to check out the brand, these would be, in my humble opinion, the items to start off with! Perhaps the most famous item from Collection's line up is the brand's Glam Crystal Dazzling Eyeliners (AKA cool glitter eyeliners! ), which I've swatched before. Turns out, in the three or so years that have elapsed, the lineup has remained pretty much the same colour-wise - some new colours were added, and some old ones were discontinued, but maybe 75% of my old swatches are still valid. Beyond the Glam Crystals Eyeliner, another product I thought was worth buying and high-performing even at drugstore pricing was the Colour Pout Lip Stain, which is a lip stain in marker form. It's pretty cool, and looks like a felt tip pen. 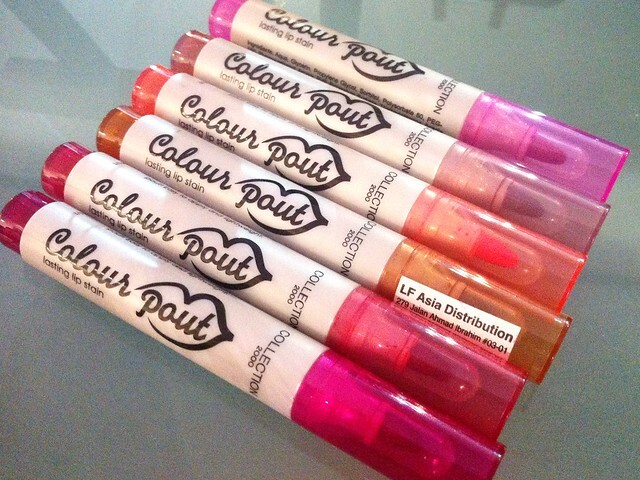 Collection Cosmetics Colour Pout Lip Stain: Cool felt tip marker packaging! Fortunately, the product inside the packaging is also excellent - it really stains the skin, and doesn't move or budge until you take it off. When I swatched the product, I found it to be pretty much rub-proof, water-proof, and smudge-proof. The performance is quite on par with high-end brands. So yes, I do think this is a great buy at the price. 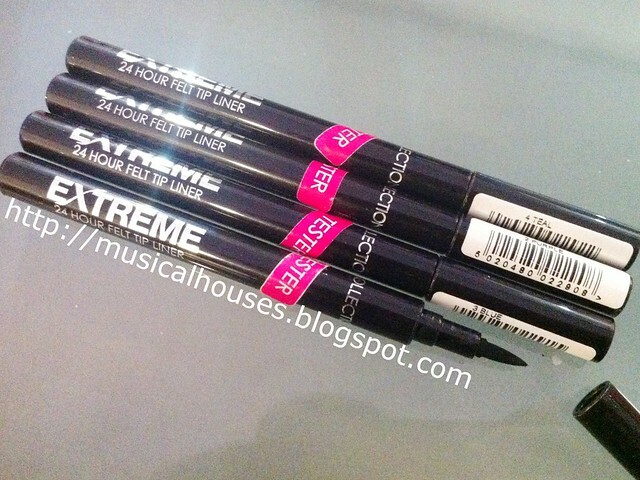 Another signature Collection Cosmetics product is the 24 Hour Felt Tip Eyeliner. This is another marker-like product, with a sharp felt-tip applicator for application. The PR people told me that you can wear this product to go swimming, and based on the swatches, I'd be inclined to believe them. Collection Cosmetics 24 Hour Felt Tip Eyeliner: You can wear it to go swimming even, apparently! And here are swatches! Pity there are only four colours in the line, because I think they are quite good. One small thing, though - as you can see in the swatches, there is some bleeding into the fine lines and crinkles of my skin. So if you have very wrinkly skin around your eye area, you might want to make sure you have a good primer on or something. 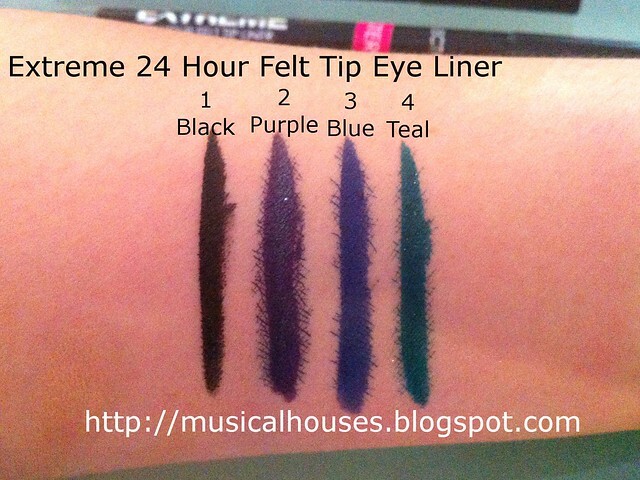 Collection Cosmetics 24 Hour Felt Tip Eyeliner swatches: Note the slight bleeding. 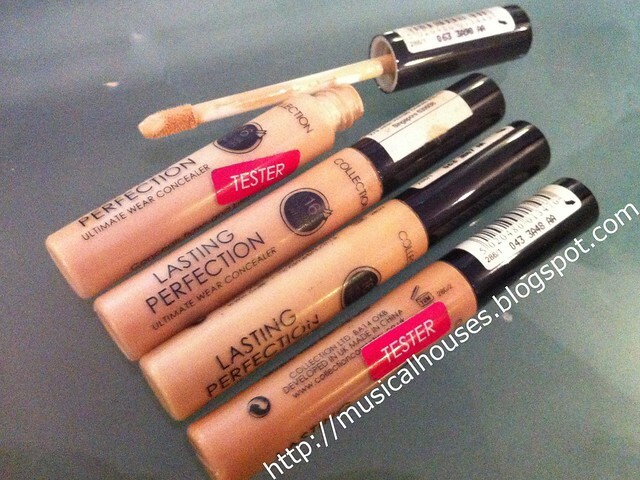 A personal favourite of mine is the Lasting Perfection Concealer. I tried this during the event, and I really like the concealer, because it has really good coverage - it was able to conceal all my pimples. I like the texture, and it seemed to apply quite well, too. Collection Cosmetics Lasting Perfection Concealer: A doe-foot wand applicator helps application. And, swatches! There are only four shades, so if you manage to find a match, I think this is definitely worth trying. I feel like concealers are a very personal thing due to different needs and different skintypes, but if you're looking for something high-coverage and with a thick but manageable texture, this would be good. 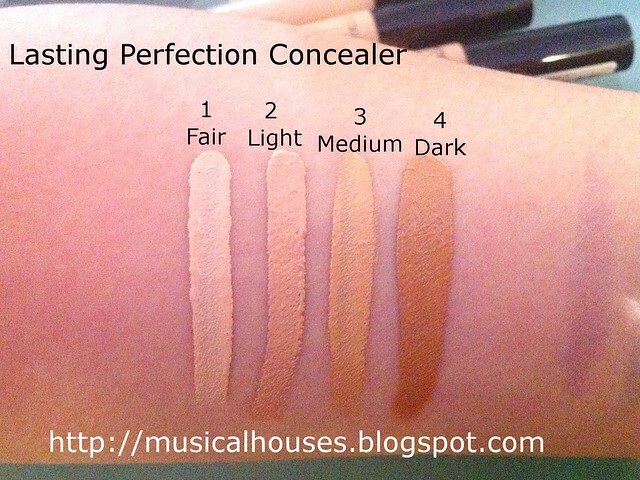 Collection Cosmetics Lasting Perfection Concealer swatches: High-coverage, with great texture. 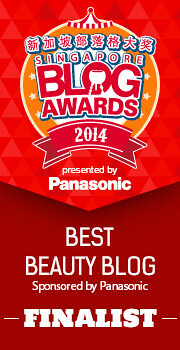 So these are the items that I really liked best out of the entire Collection Cosmetics line. While not all the products are going to be on the same level as MAC or Chanel, but as my post shows, I've been able to identify quite a few items that are definitely performing better than the price tag would suggest. All the items I've featured here are under $20, so it's not pricey either. If you see the Collection Cosmetics stand and want to try out some items, well, now you know what my picks are! I'm so jealous! I love Collection and bought what I could when I was in the UK earlier this year. I wish they would come to the U.S.! The black felt-tip liner is my absolute staple - the rest all stain which is a shame! 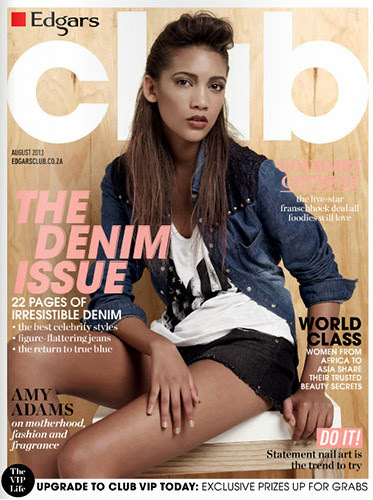 Hi, where can I get the lip stain in Singapore? 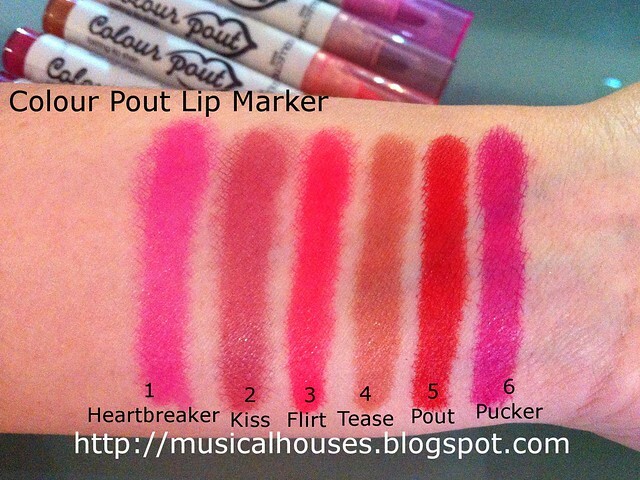 Hi how can I get the lip stain in Singapore? Which stores sell it? @Mar: You can get Collection Cosmetics at various Watsons stores, including Ngee Ann City, Westgate, Bugis Junction, and United Square, and also at BHG at Bugis Junction. I think their website will have a more complete list of places to buy. Hope this helps! is the dark shade suitable for black skin?